This recipe came to fruition with a seed of inspiration from my dad's version of the pancake and an ALMOST expired tub of plain fat-free yogurt. My brother was the first to try it other than myself and he was a fan, so I render this trial a SUCCESS!! :) The corn meal and the yogurt makes everything more light and fluffy and the texture of the corn meal is unique, but rich. 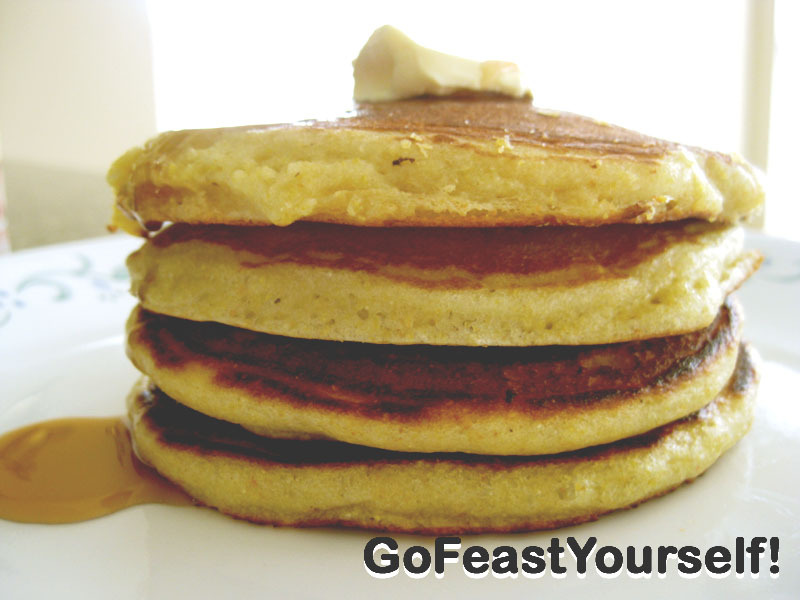 It's not so far of a stretch taste wise from regular flour pancakes, but there's a difference that I enjoy. 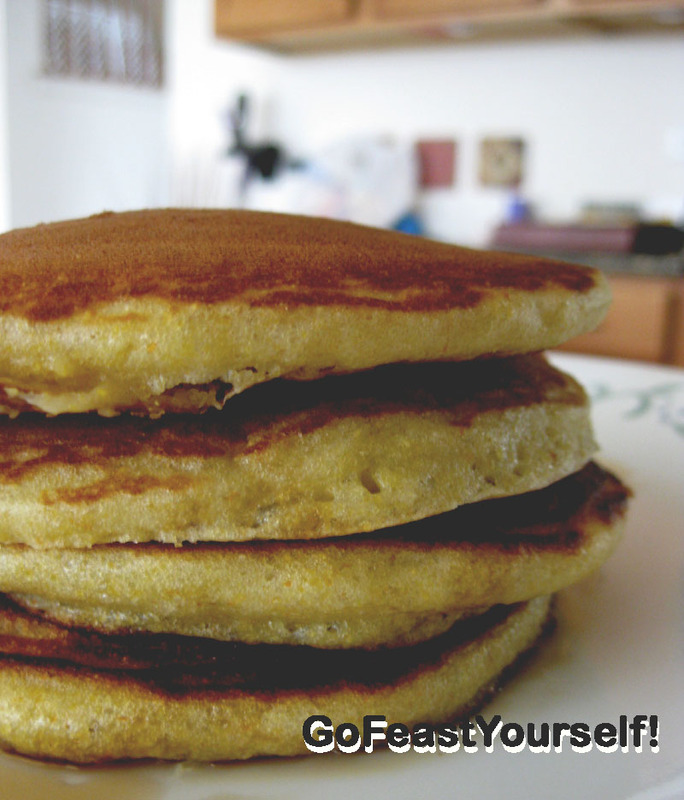 I actually think I prefer these pancakes to regular ones. Add some blueberries or chocolate chips, whatever you like and it's the perfect comfort breakfast! Although in my case, I also had some for dinner. I don't know why, but breakfast food tastes better at night lol. Whisk together ingredients until creamy batter forms. Do not overmix! Slowly poor batter over a hot pan (keeping your hand still...do not poor in a circular motion) to whatever size pancake you prefer. I like medium sized ones. You will know when to flip when you see tiny bubbles popping on the surface. Should be golden brown on each side.